Our Lady of the Most Holy Rosary La Naval Manila is the title under which the Blessed Virgin Mary is adored for her intercession during the Battles of La Naval de Manila. Quezon City adopted the Virgin Mary of La Naval as its Patroness by virtue of City Council Resolution Number 9645, S-1974. Sto. Domingo Church is the home of the 16th-century ivory and wood statue of La Naval. 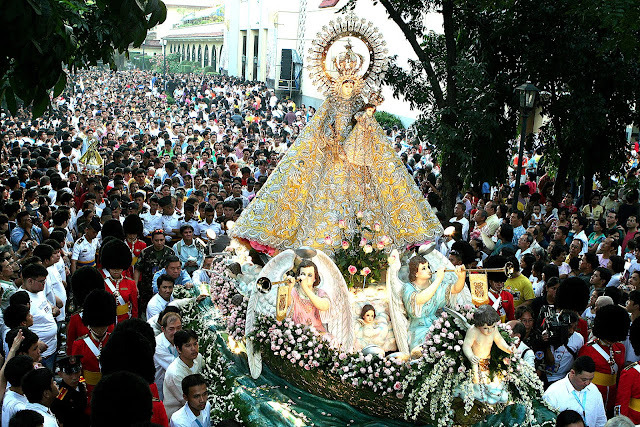 Every 2nd of Sunday of October, the city celebrates the Feast of Our Lady of La Naval and is highlighted by a procession. 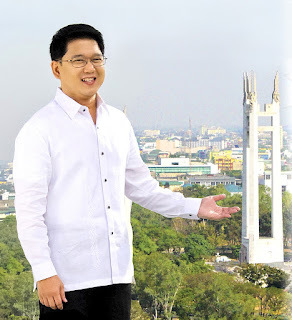 October is also the founding month of Quezon City.